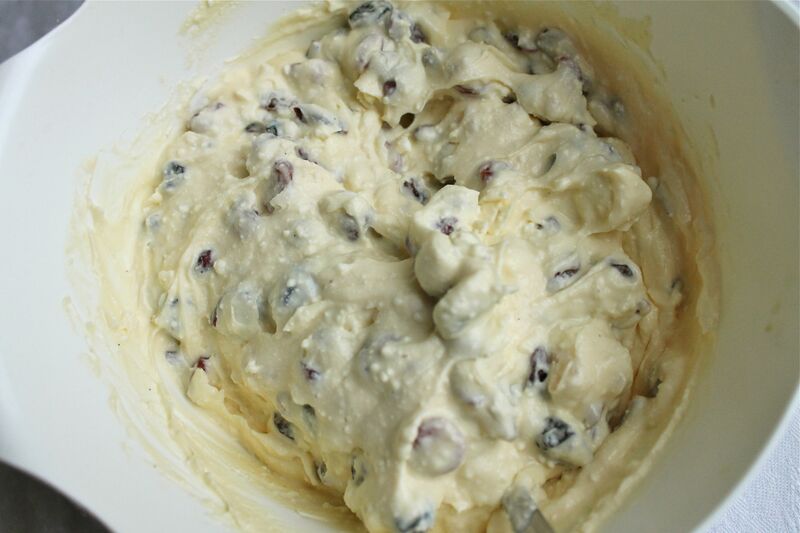 Pascha's main component is cottage cheese or curd cheese mixed with lots of dry fruits. Using cottage cheese is traditional for Russia, so it appears in many dishes e.g. syrniki, cookies, Russian style gnocchi and vareniki. If you have trouble finding it though, just use ricotta cheese instead. You can serve it on its own, or with a cake of your choice. If you feel like making a cake yourself, go for this easy and rewarding kovrizhka or for the proper kulichi. They are definitely more demanding, but have a lot of charm. Most of the time pascha is enriched with butter, however I prefer using cream cheese. I also love adding vanilla, though many people perhaps would say it is not traditional. If you feel like adding some coarsely chopped nuts (e.g. almonds, pistachios) do so, however I prefer skipping this part. Making it is quite straightforward. 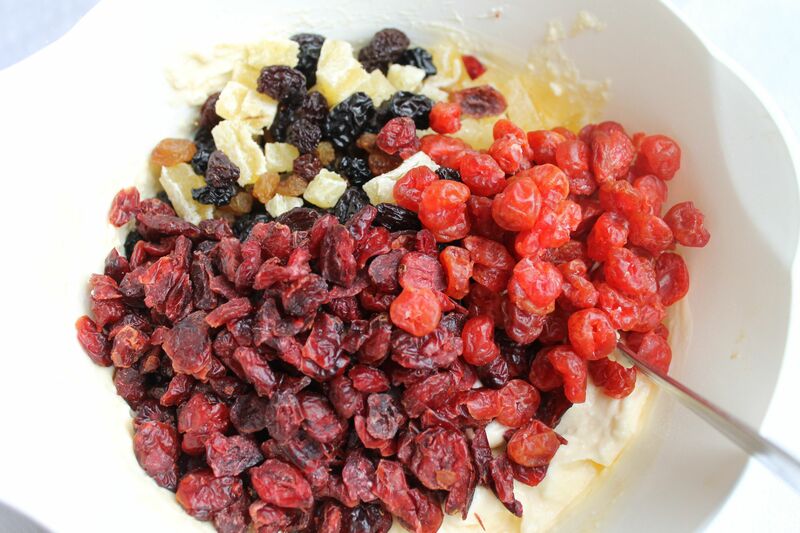 Like with all cold cheesecakes you do some mixing and then leave it to set. However in pasha we do not normally use gelatin. It sets thanks to the addition of egg yolks and cream cheese or butter. 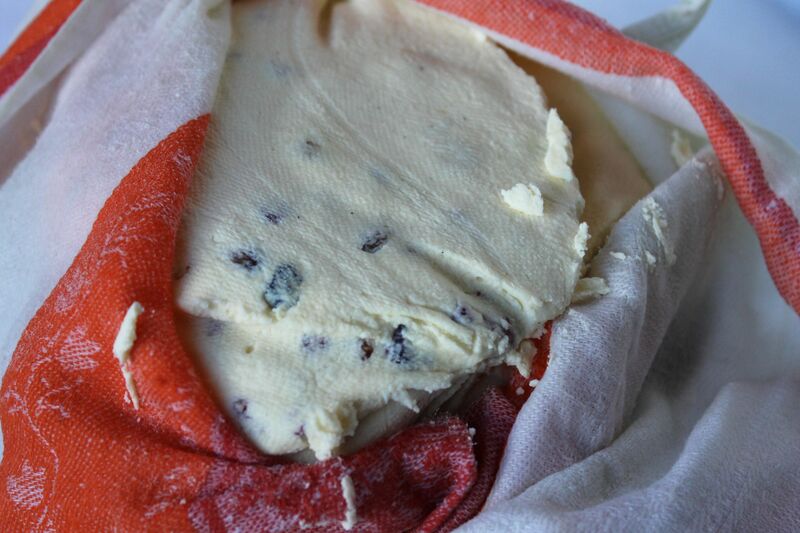 We wrap the cheese mix in cloth leave it under press overnight. The resulting cheesecake is very pliable and easily takes different shapes. Traditionally we shape it either a pyramid (using special shapes) or as a semi-sphere (using ordinary bowls). Combine the yolks with vanilla and icing sugar in a bowl and set the bowl over a pan of simmering water (the bowl shouldn't touch the water). 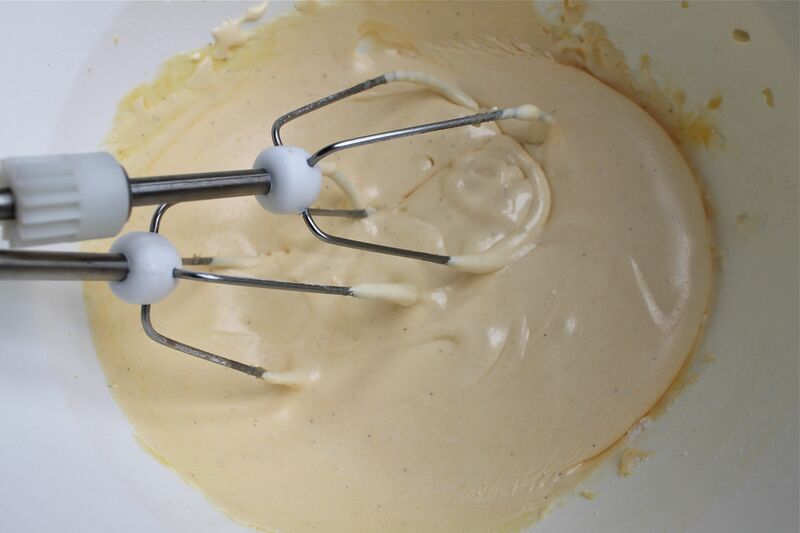 Beat with electric mixer till you get a thick pale cream. Take the bowl off the water bath and keep beating till it cools a little bit. Add the cream cheese, cottage cheese and sour cream. Beat till combined. Mix in the fruit. 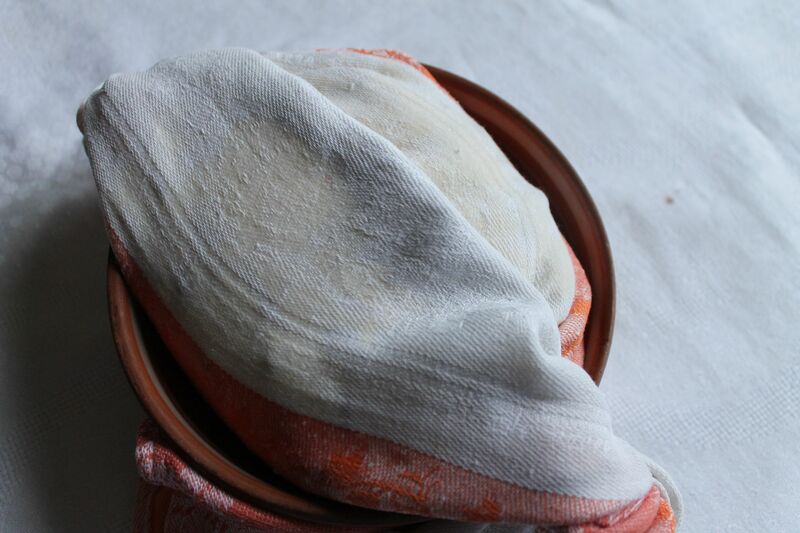 Now you will need to use cheesecloth (or other clean cotton cloth) sized approximately as a kitchen towel. Place a colander on top of a bowl. Cover the colander with your cloth and scrape the cheese mixture into the colander (on top of the cloth). Close the cloth on top of the cheese tightly. Cover the cloth with a plate which fits into the colander and set something heavy on top of the plate (e.g. a liter pack of milk or juice). Leave to set in the fridge overnight. Before serving, you can shape pascha. Choose a nicely spherical bowl and cover it with cling film. 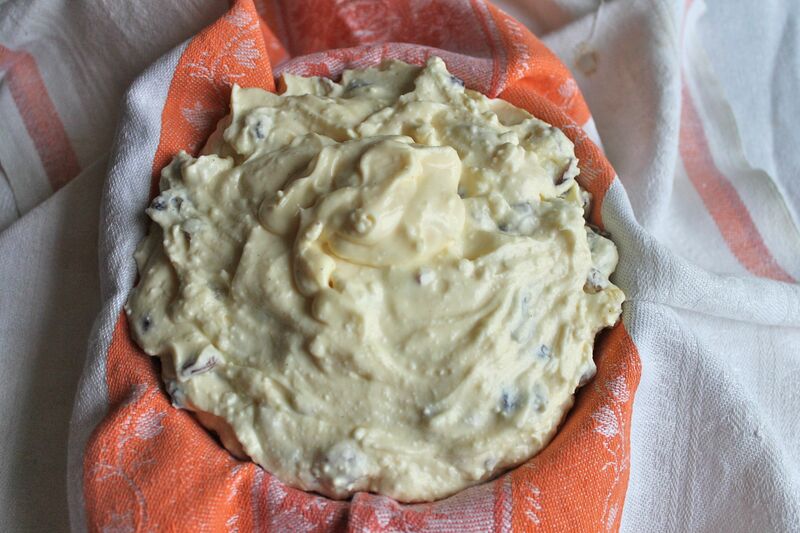 Unwrap the pascha, spoon it into the bowl and press it down and make it even. Cover the bowl with a plate and invert the pascha onto the plate. Peel the cling film off and decorate with more dry fruits (entirely optional). 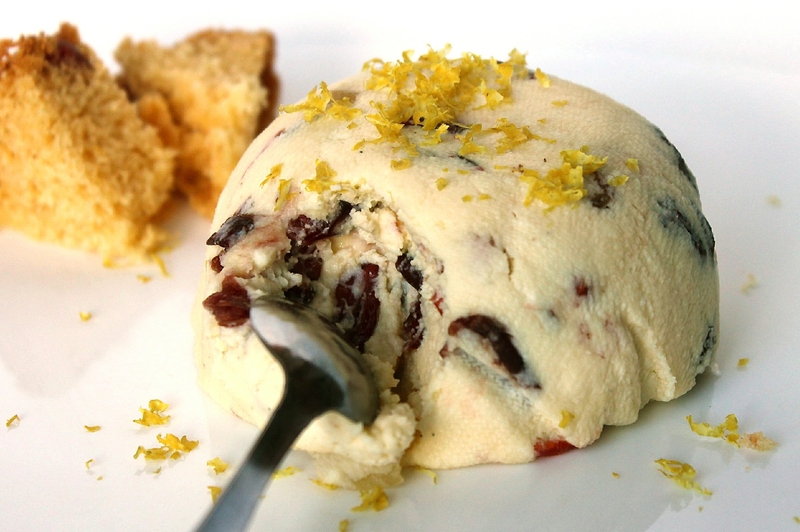 Serve chilled along with a cake of your choice or with kulich.